I once came across a question from a fellow coach. Has anyone set up a database of drills/games/etc with a template for practices? e.g., in your template you can select from a variety of warmup items, then pick an individual skill, then a group skill, etc… so you wouldn’t have to a) remember every single drill since they would be in a database, b) hand write practice every day, etc. I understand why something like this would be compelling. On the one hand, when I first got into college coaching I worked for a woman who was very structured. She was a facilities planner, so she liked her practices scheduled out basically to the minute.This sort of practice organizer is right up that alley. On the other hand, there are definitely lots of options for drills and games. It can be hard to remember them. I’ve got some thoughts about this, though. First, there is something I wrote about in the 1000 different drills post. Some coaches proudly have a large drill collection. They constantly swap drills in and out of their practices. As I talked about in that other post, though, this could actually hamper player learning. Perhaps more meaningfully, always using different drills means time spent explaining them. That’s time not spent practicing. Remember, the more you talk, the less they train. If you have limited practice time, you need to get the absolute most out of it. Having said what I did in the last section, I definitely get the desire to mix things up and keep it fresh. We do need to keep player attentions in mind in our practice planning. That means changing the challenges and the focal points. 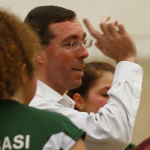 Jan De Brandt and Teri Clemens, who we interviewed for the Volleyball Coaching Wizards project, both are proud of never running the same practice twice. Here’s the thing, though. You can create an ever-changing practice plan using only a handful of exercises. This starts with the understanding that you want to make things as game-like as you possibly can at all times. This is a simple function of the science of motor learning. You can’t always create actual game situations, or do things in a 100% game-like fashion, but you want to get as close as you can. If you have this idea in mind, it will likely cut down quite a bit on the number of possible drills you might use. The second thing to understand is that so long as you make the exercises as game-like as you can get them, then what really matters isn’t the drill or game itself, but the feedback. That means you can use the same exercise for multiple different purposes simply by shifting the focus and feedback. Finally, bonus points and other scoring systems can let you use even a simple 6 v 6 game in any way you like. 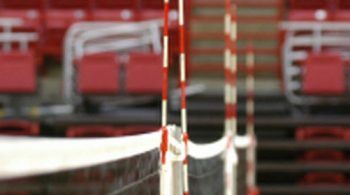 Want to work on serve reception? Consider something like the points for passes system. 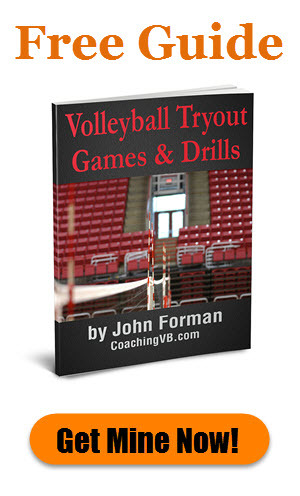 Want to work on first ball sideout? Give a bonus point when the team does it, and/or to the serving team when they can prevent it. Want your servers attacking seams? Give them bonus points for doing so, regardless of the pass quality. And of course you can also focus on something by having each rally begin in a certain fashion. Or if you want to run a wash game, you can have the follow-up ball(s) work a certain way. Let’s say you want to work on out-of-system hitting. 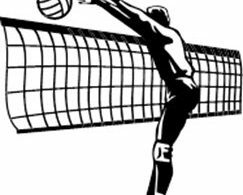 You could start the rallies with a ball hit at the setter so a non-setter has to set the ball. The point is you can work on just about anything you want in a simple 6 v 6 game by changing the way rallies are initiated, how you score them, and where you focus your feedback. And you can get really focused by using a second chance approach. Get the point I’m trying to make here? I’m like Jan and Teri in that I probably don’t ever run the same practice twice. 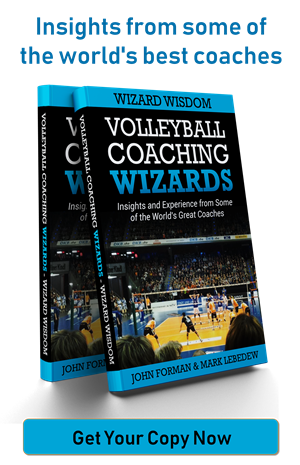 Teri actually goes even deeper in her interview (featured in the first Volleyball Coaching Wizards book) and says she never had a list of drills. She just created whatever she needed when she planned practice. I approach things in a similar way. Yes, I do have some standard drill and game structures that I use. By that I mean they are 6 v 6, or small-sided, or have a winners rotation, or something along those lines that is familiar to the players. This avoids the need for teaching new drills all the time. From there, though, I set up the ball initiation, scoring, and feedback so it focuses things on what I have for my priority that session. I’m not saying this is the best approach for every coach. We all need to have a practice planning system that works for us. This one works well for me.